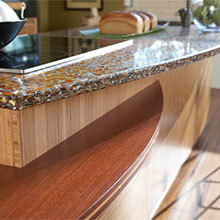 Gorgeous, unique, recycled glass slabs and accessories. Made to last. Buy an amazing accent to your home.